P & D Rigging & Crane Hire Pty Ltd | P. & D. RIGGING & CRANE HIRE PTY. LTD. Committed to the provision of high-quality crane hire, structural steel and precast concrete erection and services. Our crane allocators supervisor can determine which crane will be best suited to carry out your crane lifts. All cranes also carry standard safety and environmental items such as first aid kits and fire extinguishers. We have a selection of cranes and telehandlers available for dry hire for both long or short term. What makes P&D Rigging and Crane Hire perfect for your next project? 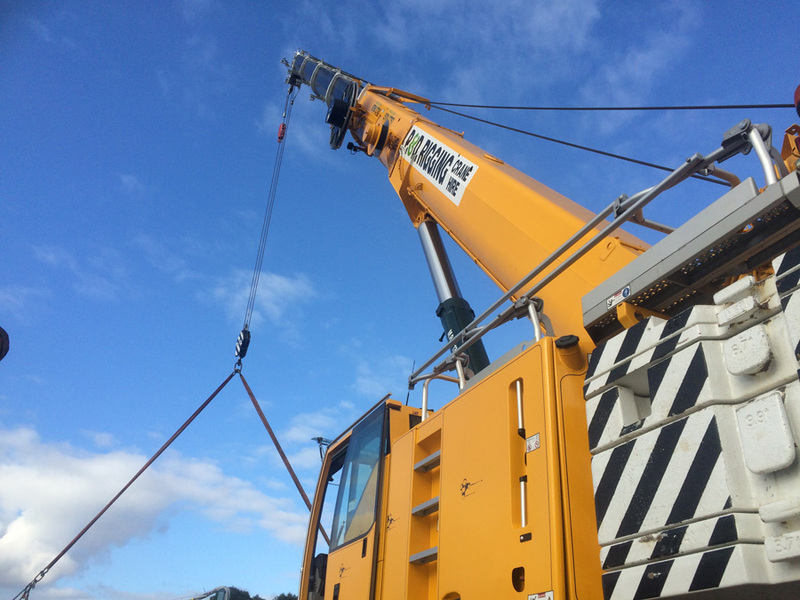 P&D Rigging and Crane Hire is an Australian privately owned company established in 1986. P&D Rigging and Crane Hire specialise in crane hire, structural steel erection, precast concrete erection, machinery removal and installation, servicing Australia wide. We are a Quality and Safety endorsed company. Our Quality Assurance has full accreditation and complies nationally with AS/NZS ISO 9001 : 2015 Quality Assurance System. Licence No. QEC14040. We endeavour to make crane hire as simple as we can for you. Please see assorted frequently asked questions here. If still require assistance, please feel free to contact us via our contact form. What capacity are your cranes rated at? P&D Rigging & Crane Hire operate a wide range of mobile cranes with lifting capacities from 3-220 tons all available for hire. Larger cranes are available on special arrangements. How often is the equipment serviced? Every 12 months. All of the cranes in our fleet are modern, meticulously maintained and come with a team of highly trained and qualified crane operators and crane consultants experienced in all aspects of crane safety and operations. Have a current Workcover certificate of plant registration. Are crane safe certified every 12 months – Green Stickers. Are x-rayed and mag particle tested every 12 months. Carry crane industry council Australia maintenance log books fill out daily.